The Pop n Play Ultimate Play Yard allows you to easily create a safe portable play area for your child. The ultra-lightweight and compact fold play yard can be set up and taken down in seconds, making it perfect for use at home, a day at the park, or a weekend at the beach. A removable sun canopy provides protection from harmful rays, and the water resistant floor helps keep baby dry even on damp grass. Airy mesh sides provide added visibility. A travel bag with shoulder strap is included for on-the-go convenience. Summer Infant will replace or repair (at our option) your unit free of charge for 12 months from the date of purchase if the unit is defective in workmanship or materials. Please contact our Customer Service Department by phone at 1-800-268-6237. Pop 'n Play Ultimate Play Yard The Pop n Play Ultimate Play Yard allows you to easily create a safe portable play area for your child. 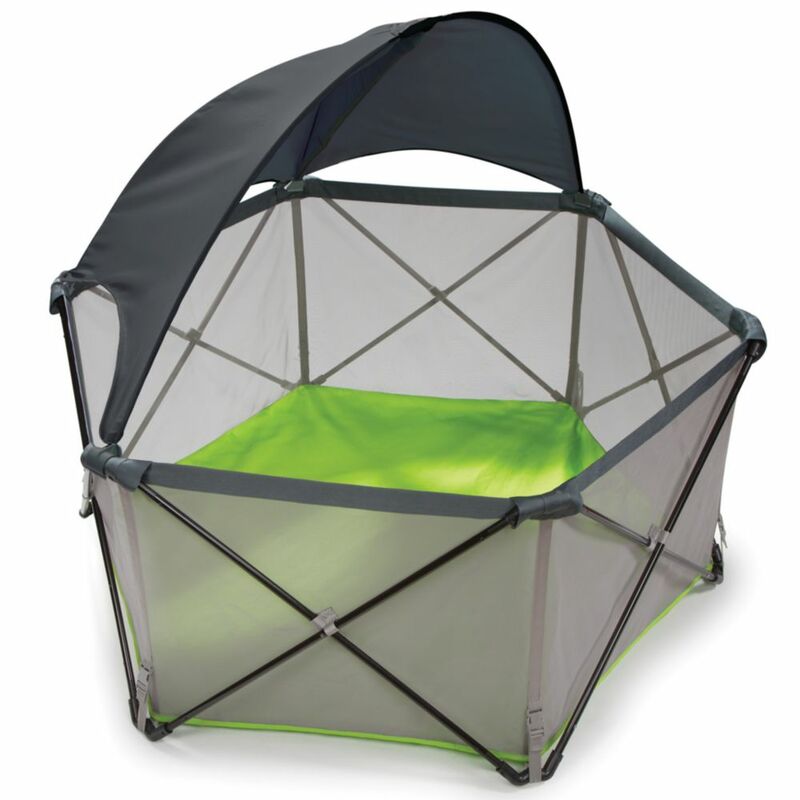 The ultra-lightweight and compact fold play yard can be set up and taken down in seconds, making it perfect for use at home, a day at the park, or a weekend at the beach. A removable sun canopy provides protection from harmful rays, and the water resistant floor helps keep baby dry even on damp grass. Airy mesh sides provide added visibility. A travel bag with shoulder strap is included for on-the-go convenience. Pop 'n Play Ultimate Play Yard is rated 5.0 out of 5 by 2. Rated 5 out of 5 by Alina from Great features Bought this for my grandson, it is well used and very convenient to take anywhere you go. Rated 5 out of 5 by mitch123 from Easy to use! Bought this last month and it's so easy to pop open and set up. Used in the back yard, park and friends house. Love it!